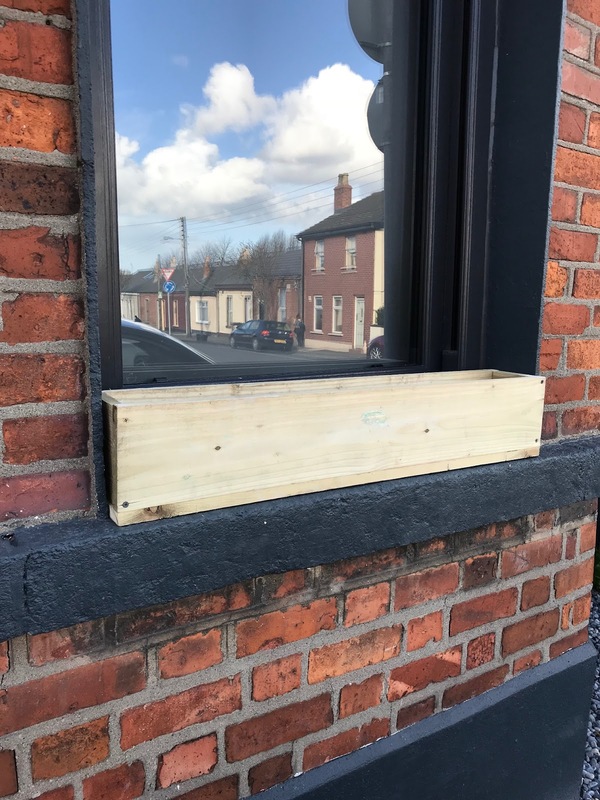 Over the weekend I made some window boxes for the bay window at the front of the house. I could have bought some, but I had timber left over from the back garden fencing so I thought I'd find another use for it. Before you read any further I would like to point out that I am not a carpenter/joiner and my carpentry skills are limited to say the least! 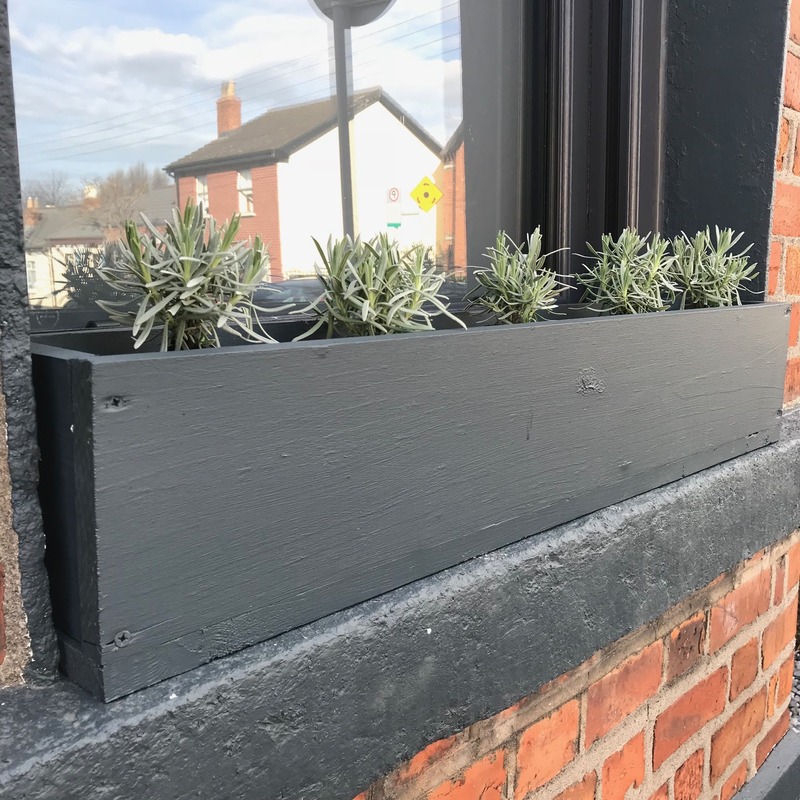 If you happen to be a professional in that trade, look away now 😆 This was a rough and ready, inexpensive project that will hopefully help bring a bit of colour to the front of the house. 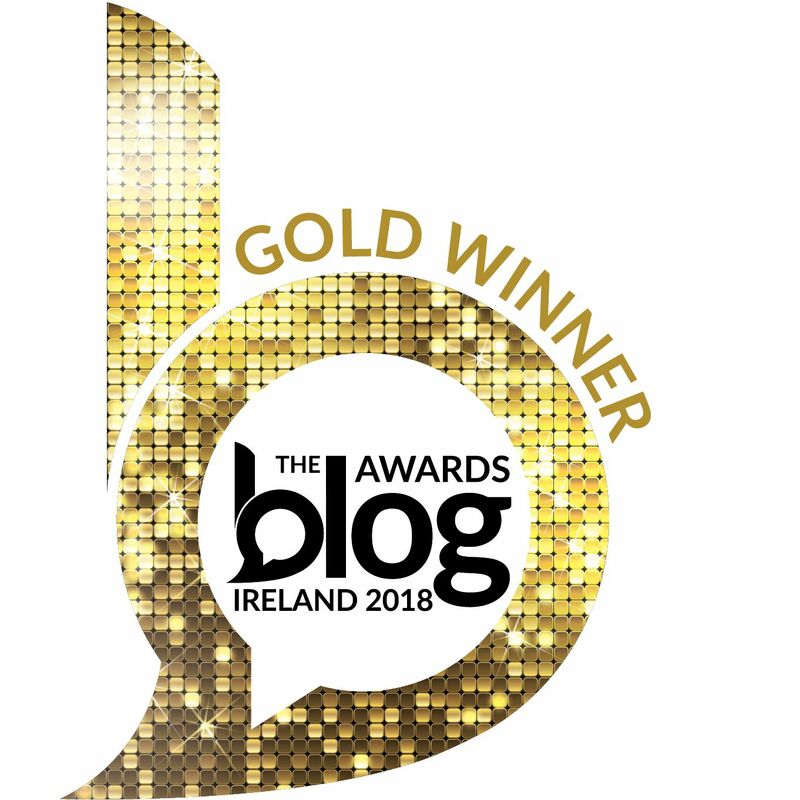 Perfection was not the end game here. Plants of your choice - I went with lavender because it smells good, gives a good pop of colour and bees love it. Measure up your window sills before you start. 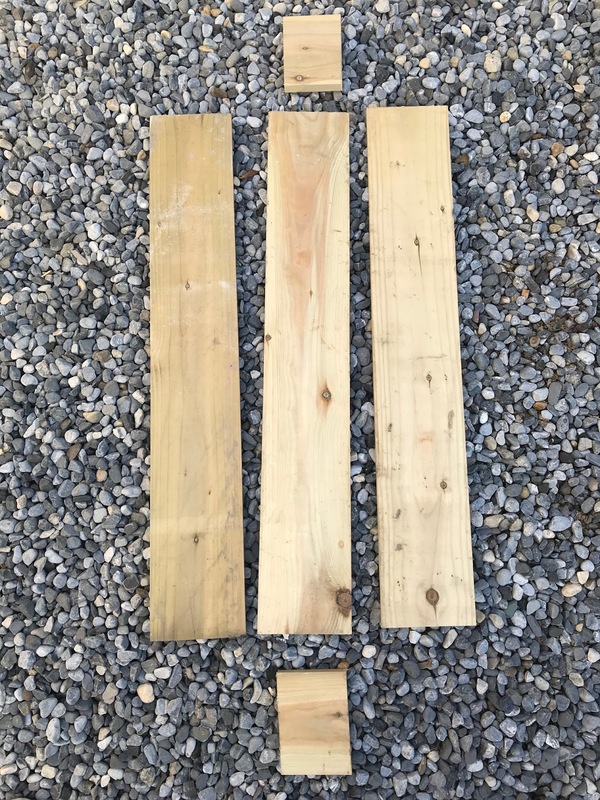 I have three windows in the front of the house so measured the width of each sill. 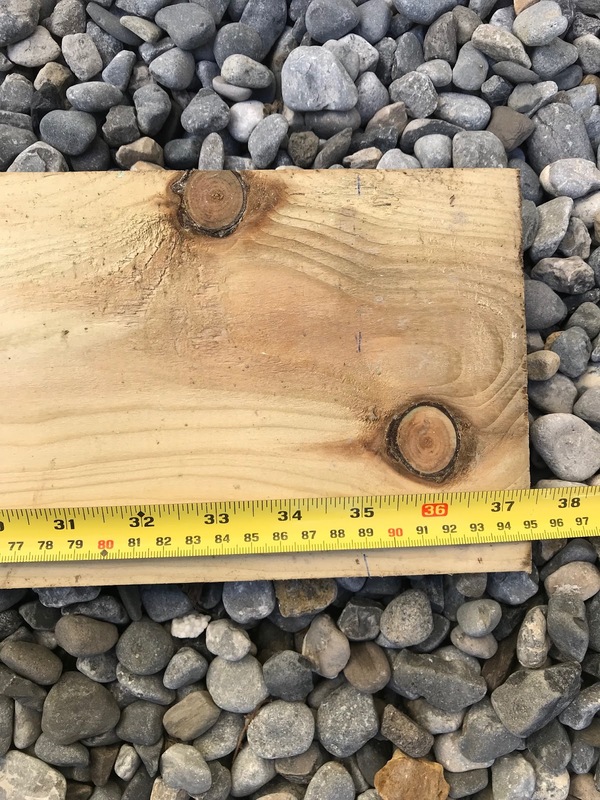 Mark your measurements on the lengths of timber. 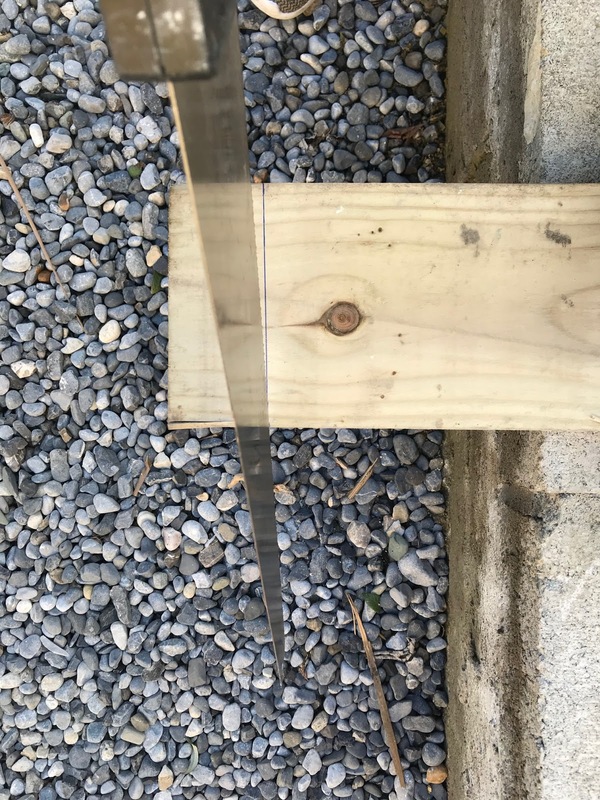 As my window sills are recessed, I kept the measurement tight to the edge so the box would fit snugly into the space. This will hopefully help reduce the risk of them falling/being blown out. 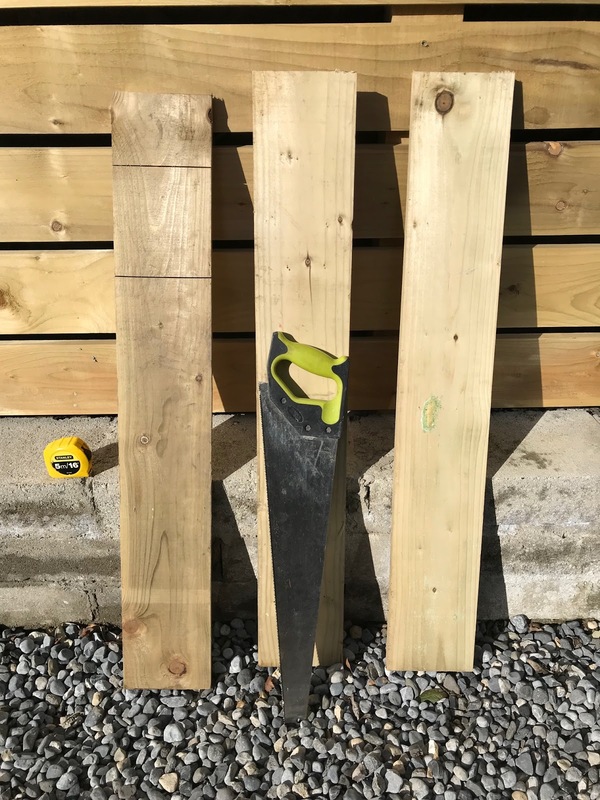 Cut your length of timber into the sizes you need. You will need five cuts of wood. One for the base, two more the same length for the front and back and then two smaller sections for the ends of the box. 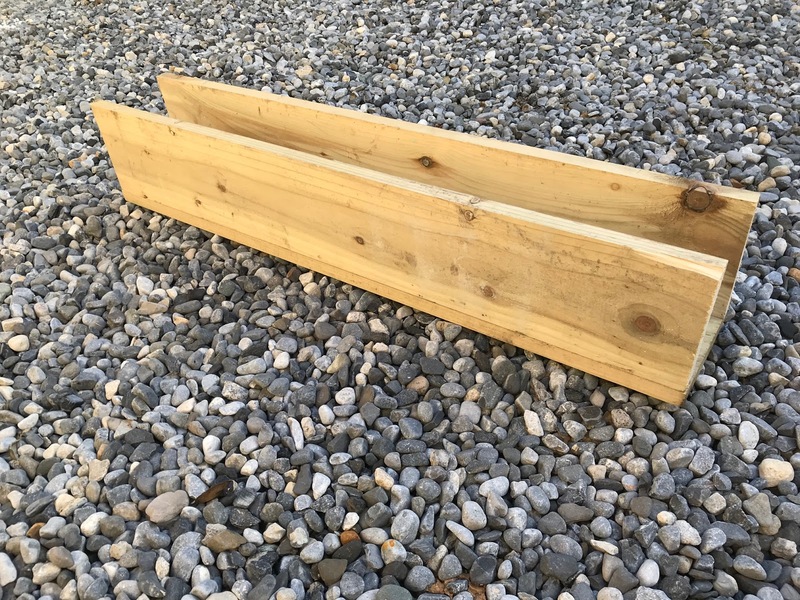 Once you have your pieces of timber cut to size, start assembling the box. 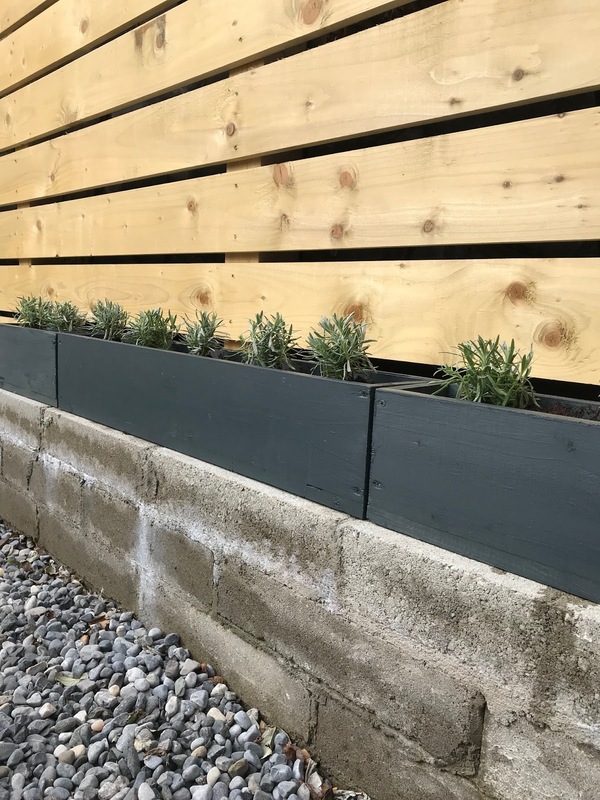 I purchased a small hand drill/screw gun in Aldi and it was ideal for this project. When you have all your pieces joined together, add a few more screws to the base of the box. I was worried about the timber warping, but it is treated so should last at least one summer outside. 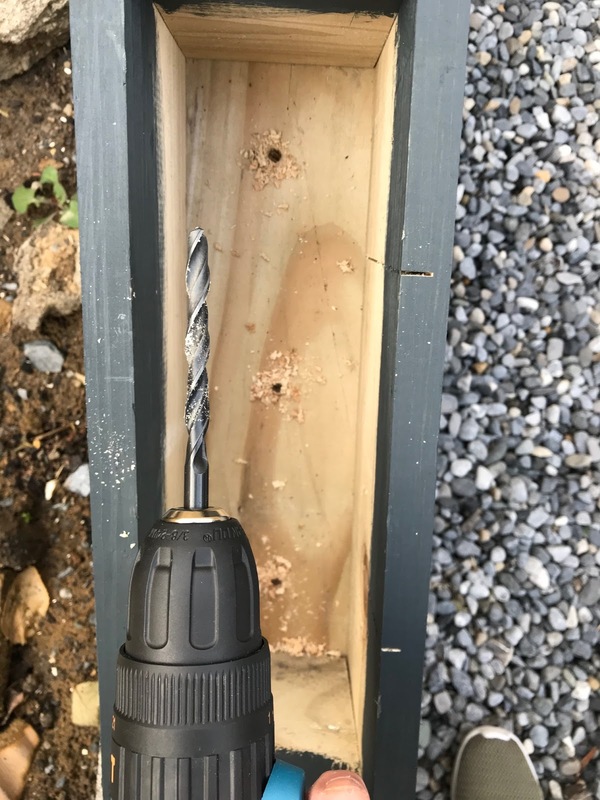 Change your drill bit and drill several holes in the base of the box to allow drainage of water. 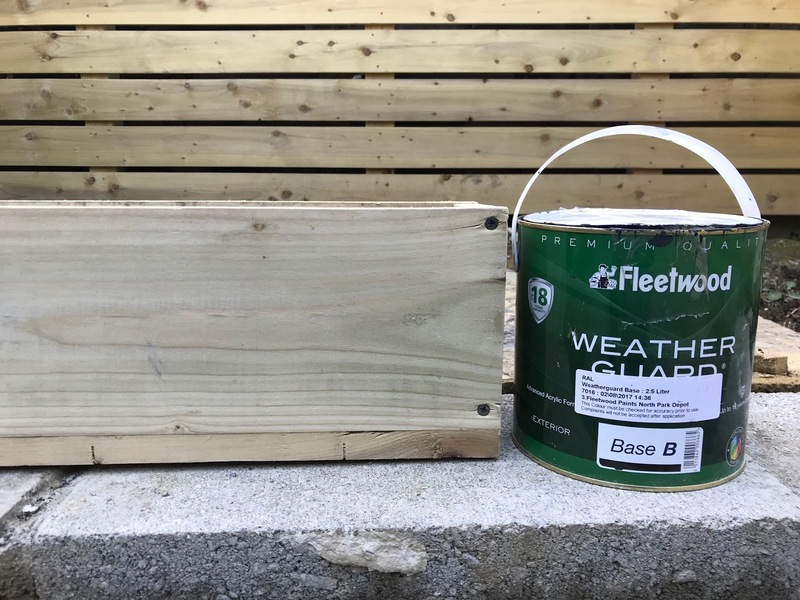 You could also use a sealant on the joins of the timber if you wanted. I didn't have any so skipped this step. Before going any further I took the box out to the front of the house and double checked it fit. Thankfully it did so I brought it back in and gave it a coat of paint. I decided to use the same colour paint as the windows and sills. 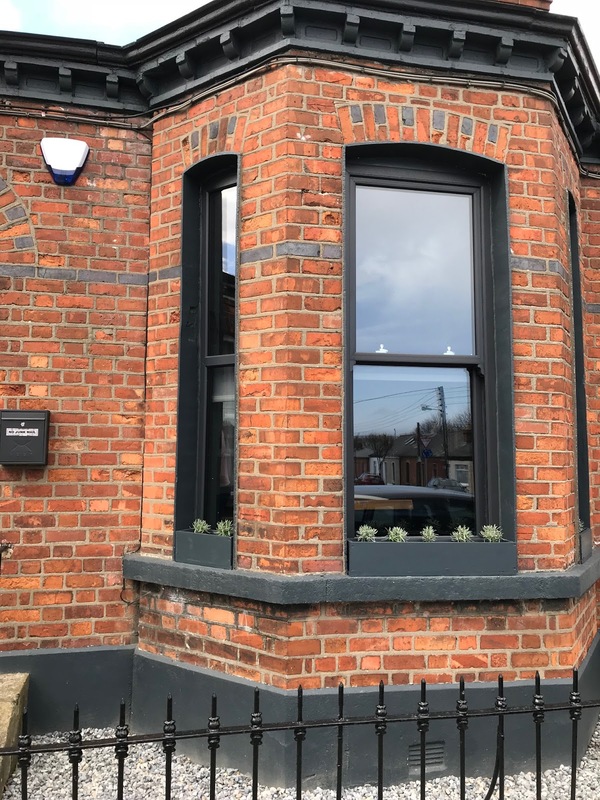 I had the window frame RAL colour mixed up at my local Fleetwood store and have been using it everywhere outside the house I love it that much! 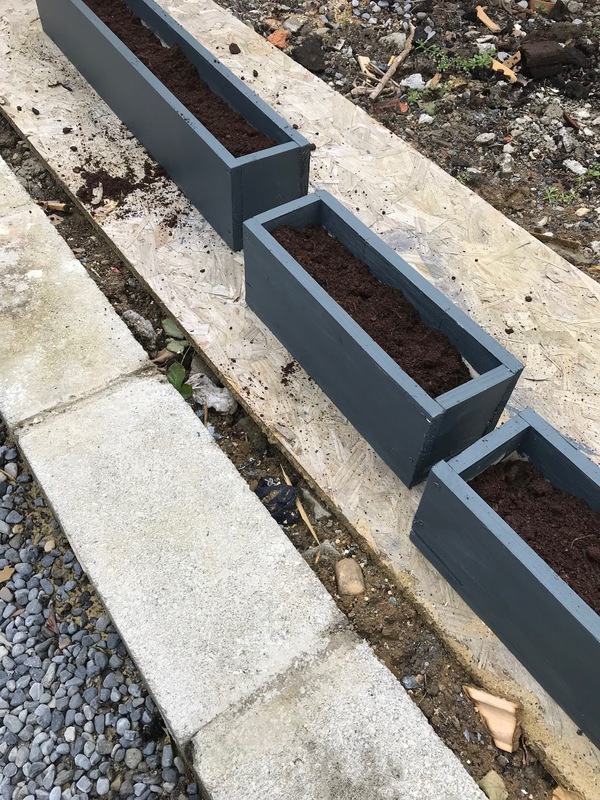 Once the paint is dry (I gave mine two coats), your window boxes are ready to plant up. I got some feedback from the lovely people of Instagram regarding what colours would work best outside the house. 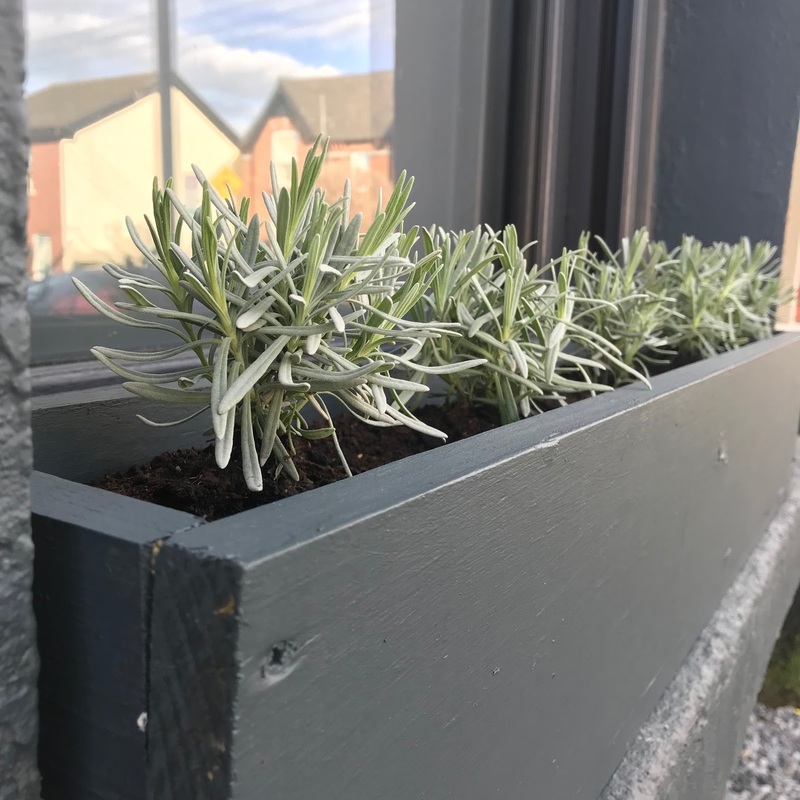 Purple was the one that got the most votes, so I bought lavender plants from Johnstown Garden Centre and planted the boxes up. I love this garden centre as the staff are so knowledgeable and they have a huge selection of plants at great prices. Once the lavender plants were in, I gave each box a really good watering and left them to settle over night. The next morning I moved the boxes to the front of the house. 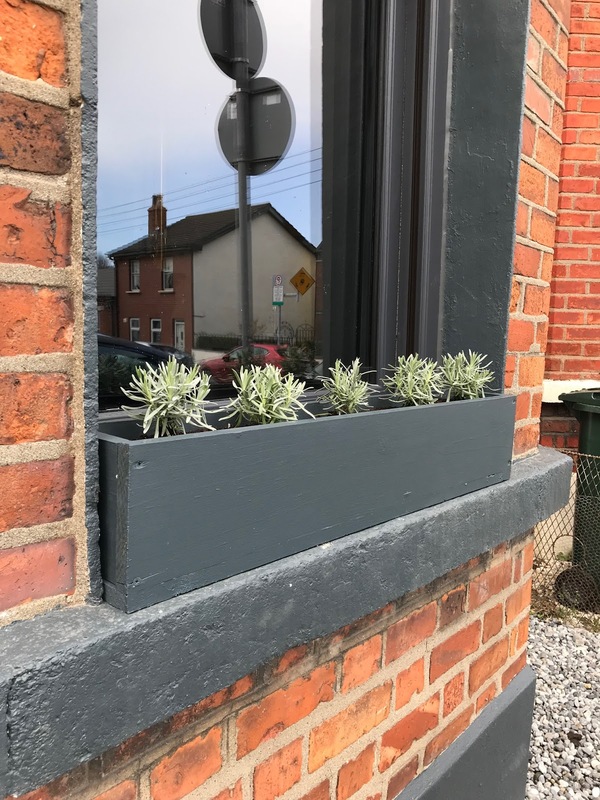 I can't wait for the plants to mature and grow and add a bit of much needed colour to the front of our red brick! 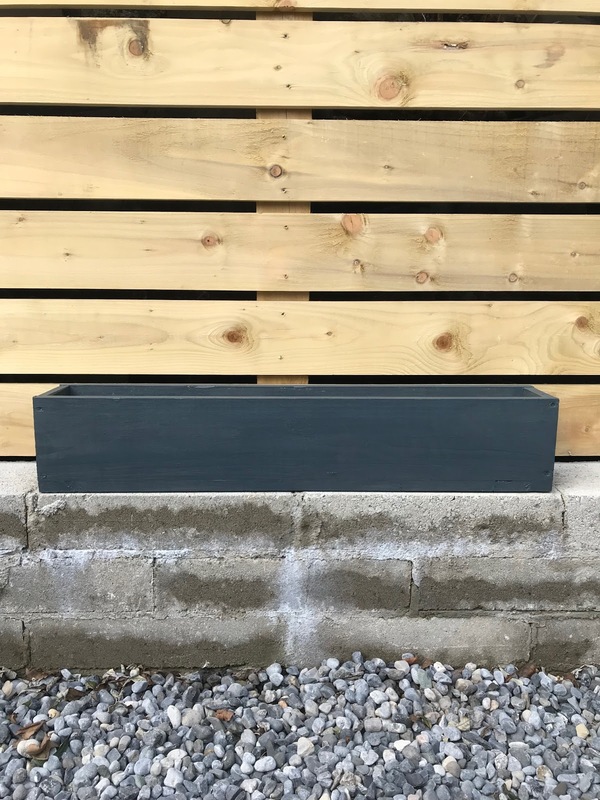 Thanks for reading and I hope this inspires you to make your own boxes and add a splash of colour to the outside of your home. Screws are not screwed very carefully, it was necessary to drill under the caps. You just have to find the ones that you like and install them at the desired location. Always consider the weather in your area and whether you’d be able to maintain them.